Matthew Murphy, an adjunct professor with Ramapo College in Mahwah, New Jersey, since 1999, joined the Ramsey Board of Education as school superintendent in 2013. 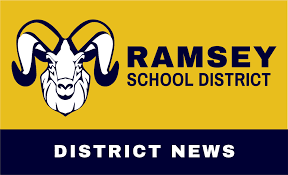 In his role as superintendent, Matthew Murphy has helped to establish Ramsey as an Apple Distinguished District, among a number of additional accomplishments. Apple Distinguished Schools have been recognized by the tech giant as hubs for educational innovation and leadership. Schools are particularly valued for their ability and willingness to integrate new technologies and approaches into established lesson plans to yield the best possible student results. A facility is not, however, recognized as an Apple Distinguished School due to a single technology-based initiative or year-to-year improvement in student test scores. Instead, Apple seeks out schools that strive for continued exploration of educational possibilities. Distinguished Schools should be able to demonstrate a concise vision for how new processes will further support learning goals moving into the future. Today, there are 400 Apple Distinguished Schools in 29 countries. The Apple Distinguished School program goes hand-in-hand with Apple Distinguished Educator distinction, and similar recognition is applied to school districts.